Older Americans are making slow but steady gains in income compared with their younger counterparts, but they are still falling short of the levels needed for a healthy retirement in all but one state. That’s the glass-half-empty, glass-half-full conclusion of Interest.com’s updated Retirement Income Study. The study uses income statistics from the Census Bureau’s American Community Survey to compare how those of us age 65 and over are faring against pre-retirement households led by those 45 to 64. We chose that comparison because a rough rule of thumb is that you’ll need at least 70% of your pre-retirement income once you stop working. Some people will need more, of course, but few will be able to get by on less. In 2011, the median income of people age 65 and up reached that 70% replacement income ratio in only two states: Nevada and Hawaii. The District of Columbia also exceeds the 70% level but has reasons that make it a special case. 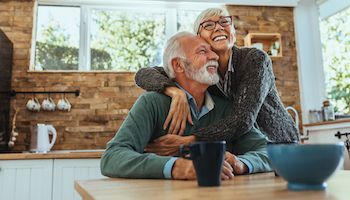 “It's clear that, nearly everywhere in the country, older Americans still don’t have the kind of money coming in they need for a secure and comfortable retirement,” says Mike Sante, managing editor of Interest.com. That’s the bad news. The good news is that older Americans are making gains in almost every state when compared with the age group just below. Nationally, the replacement income ratio for those 65 and older climbed to 59.6% in 2013, up from 57.4% in 2011. It has jumped nearly 10 percentage points since 2005. Replacement income is now above 60% in 28 states and the District of Columbia, up from just 19 states two years ago. It’s also moved within a few percentage points of the 70% benchmark in several states, including the retirement havens of Florida and Arizona. Here is the median income for households 65 and over, and how that compares with the median income of households headed by workers 45 to 64. Retired households earn an average of $35,107 a year, or just 57.41% of what the average pre-retirement household earns. Interest.com analyzed household income data from the 2013 American Community Survey, which is conducted each year by the Census Bureau. It asks millions of Americans how much they make and where that money comes from, including any government assistance, such as disability or welfare payments, and all retirement income from pensions, IRAs or 401(k) plans. But even though older Americans are narrowing the income gap with pre-retirement households, that trend isn't as encouraging as it first appears. Experts say that most of that improvement is because so many seniors are delaying retirement and staying in the workforce past their mid-60s. The percentage of Americans 65 and older who are still working has been increasing steadily for 20 years and reached 18.9% this May, one of the highest levels in the last half century. A 2012 analysis conducted for the Social Security Administration analysis found this has made older Americans significantly less dependent on retirement sources of income. “Earnings have indeed become a much greater share of the total income of the older population since the mid-1990s,” the study concluded. 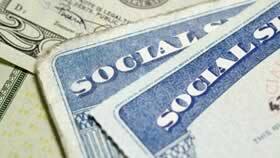 When should you start Social Security checks? Deciding when to begin collecting your Social Security benefits is one of the most important retirement decisions you’ll make. Is it smart to sign up for those payments as you turn 62, the youngest possible age? Or should you wait a few years, when you’ll qualify for a bigger monthly payment? Let our 6-step guide help you make the right call for your financial situation. Anthony Webb, a senior economist at the Center for Retirement Research at Boston College, thinks these earnings are almost certainly why the older age group has made gains relative to their younger counterparts. “What you’re picking up is increased labor force participation among older individuals,” he says. But Webb notes that unless older working Americans use those extra years to significantly boost their retirement accounts, they’re only delaying the problem of inadequate retirement savings. “It’s a palliative, not a real solution,” he says. In fact, many analysts believe the increase in the older working population is largely driven by the shifting nature of American retirement. The age to qualify for maximum benefits from Social Security has been gradually moving upward. The rules concerning how much money you can continue to make while collecting Social Security also have been liberalized. Taken together, these changes encourage us to work a little longer and to keep working at least part time, even after we start collecting benefits. At the same time, traditional pensions that pay a "defined benefit" for life have been disappearing, replaced by largely self-financed retirement plans like 401(k) or IRAs. The returns from those plans vary based on the returns on the underlying investments. Americans also haven’t been putting anywhere near the money they should into those accounts. The median amount in retirement accounts for Americans within 10 years of retirement is less than $120,000, according to Webb, an amount that would provide a monthly income of only $400 a month. The average Social Security retirement benefit at the start of 2014 was only $1,249 a month, or less than $15,000 a year. “I don’t believe you’re going to have an adequate retirement income if you have Social Security plus $400,” Webb says. Michael Finke, a professor of personal financial planning at Texas Tech University in Lubbock, is one of several analysts who believe those numbers are behind the push to work longer. “There are a lot of baby boomers who don’t feel like they’re ready to retire at age 65 and feel like they want to contribute to their retirement savings for a few more years,” says Michael Finke. Others factors also could be improving the situation for older Americans. Social Security, which still provides the largest share of income for those over age 65, does include cost of living increases. In the past two years, at a time when wages have been relatively flat for most of the country, Social Security has provided cost of living increases totaling 5.1%. Studies have also shown that the Great Recession also had a greater impact on the employment and income of younger workers than those nearing retirement. The Census Bureau found that workers age 65 and over “were the only ones not to see a decline in the employment share from 2005 to 2010,” a period that includes the recession. “Older folks are seen as such a vulnerable group, it’s difficult to refocus our attention on the needs of younger people. But part of what’s happening is that wages have been relatively flat for the millennials,” says Finke, referring to people born from the early 1980s to 2000. In other words, it’s not that older Americans are doing so great, it’s that the younger generations are faring even worse. Webb, however, does not think Social Security’s benefit increases are playing a significant role. When you take into account that Americans now have to wait longer before they become eligible for full benefits, the replacement level income provided by Social Security has actually gone down, he says. Learn the 10 secrets to successfully save for retirement. Building enough wealth to support yourself later in life has become a lifelong task that starts the first day of your first job and doesn't end until your final day of work. But it can be surprisingly easy if you make just a few savvy decisions — and avoid just a few stupid mistakes. Secret No. 1: "Don't be discouraged …"
Interest.com’s study backs up the conclusion that the move away from defined-benefit pensions has hurt retirees. Nevada and Hawaii are the two states where older Americans have the highest replacement income levels. Financial planners in both states note they also have relatively high numbers of union workers with traditional pensions. The District of Columbia, along with Nevada, had a replacement level of more than 70%. That’s partly due to a unique characteristic of the job market there: The highest-paid age group isn’t 45 to 64, as it is everywhere else, but 25 to 44. But the District also has a disproportionate number of older residents who have worked for the government for years and enjoy traditional pensions. However, pensions are not the only factor affecting how older Americans fare in various states when it comes to replacement income levels. Hawaii and Nevada, for example, are among the states that do not tax pension income. Many of the other states where the replacement level is about 65% have relatively low overall median incomes for people of all ages, along with lower costs of living. These include Southern states such as Mississippi, Arkansas and South Carolina. The two states where older Americans do worst, Massachusetts and North Dakota, both with replacement levels below 50%, would seem to have little in common. But Massachusetts has historically had a high cost of living, while North Dakota has seen both incomes and the cost of living soar as a result of an oil boom. If the impact of older Americans staying on the job is making the replacement income level look better, then Finke notes this is going to increase as more of the baby boomers near retirement. Other experts believe a shift in attitude toward aging and retirement is underway. Elizabeth Fideler, a research fellow at the Sloan Center on Aging and Work at Boston College, has written two books taking a look at why we continue to work over age 60. For those with minimal retirement savings or in lower-income jobs, financial necessity is clearly the motivating factor, she says. But Fideler says the reasons among the middle class and wealthy often have as much to do with psychological needs as they do financial. Still, even with these societal changes, Webb points out older Americans overall are not doing as well financially as they should be. “The bottom line is a 57% to 59% replacement rate is not good,” he says.